SteamWorld Dig 2 takes place in a colorful world inspired by Western movies. “Is there such a thing as something too western-y?” Image & Form CEO Brjann Sigurgeirsson wondered to me over email. If you look at the game, apparently not. Indeed, El Machino is stacked with the tropes you’d expect to find in a fictional town along the Mexican border in a Western. There’s stucco roofs, cacti, and a flashy casino, as well as a chilled out soundtrack that has touches of the flutes and trumpets so often found in classic Westerns. 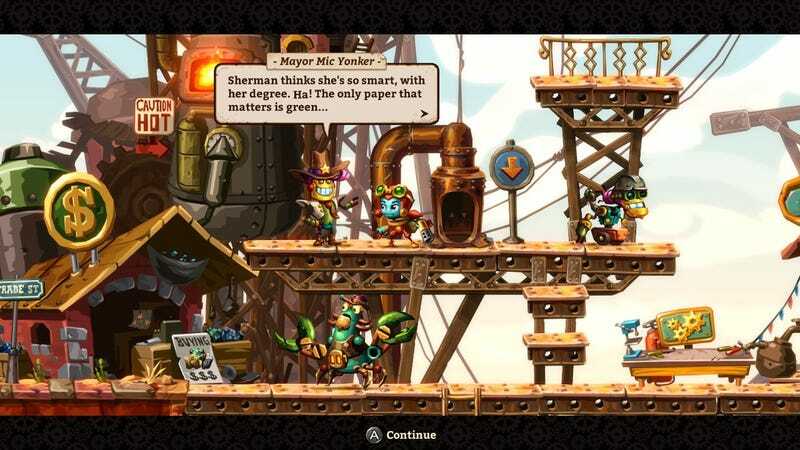 In the world of SteamWorld Dig 2, El Machino is the kind of small, quaint town that Western heroes are driven to protect in movies like The Magnificent Seven.